How do we want our future society to look like? Should we live with more security, more freedom, more sustainability, more justice? When does utopia turn into dystopia? 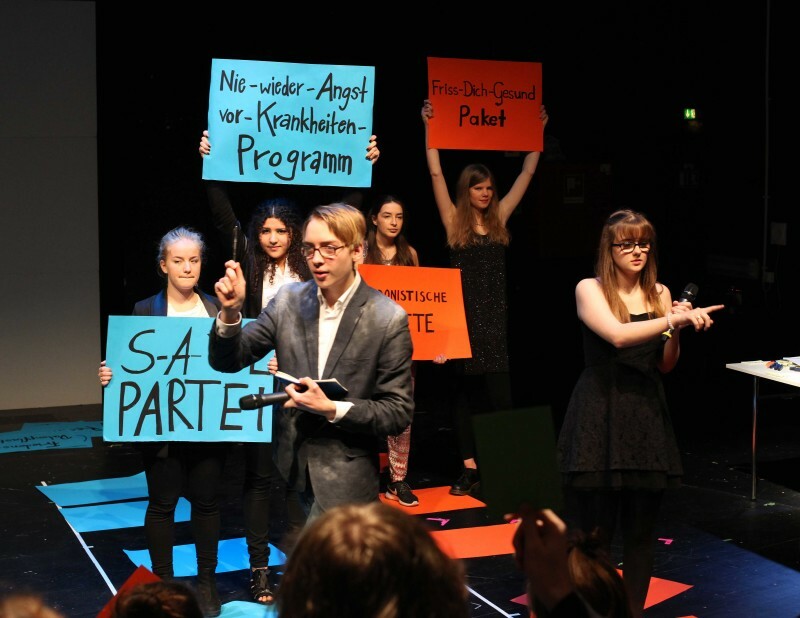 What happens when politics becomes a game and a theatrical game becomes politics? 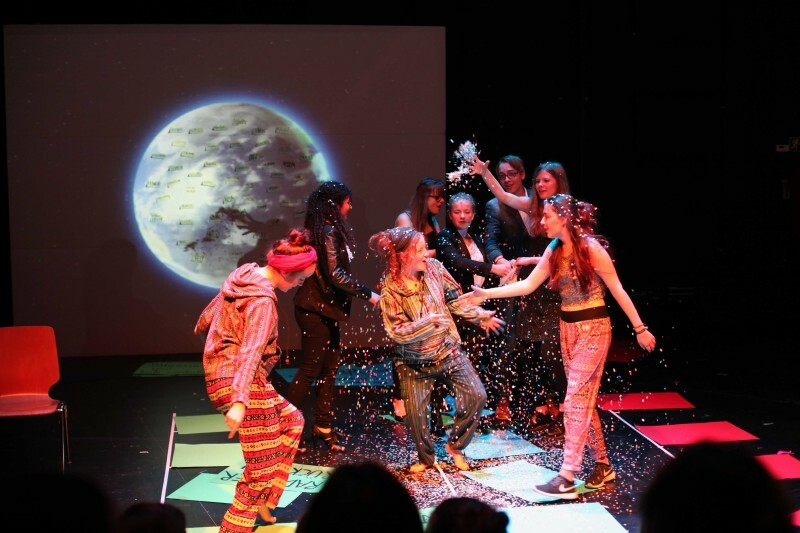 In Building Utopia eight young people between 14 and 16 have developed different visions for a possible future society. For each vision they have written a political manifesto and founded a new party: the SAFE party, the movement RADICAL DEMOLITION, and the HEDONISTIC CENTER. Every party tries to convince their voters, the audience, with their bold ideas. It is up to the crowd to decide whether these visions are convincing enough. Building Utopia is part of the project “HOME. 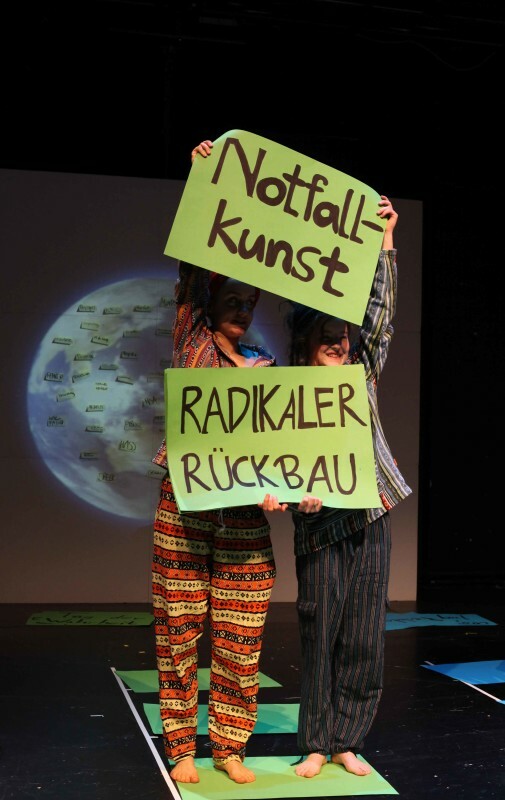 A project for Democratic Education” in cooperation with Goethe-Institut Budapest, Krétakör foundation, THEATER AN DER PARKAUE and Interrobang. 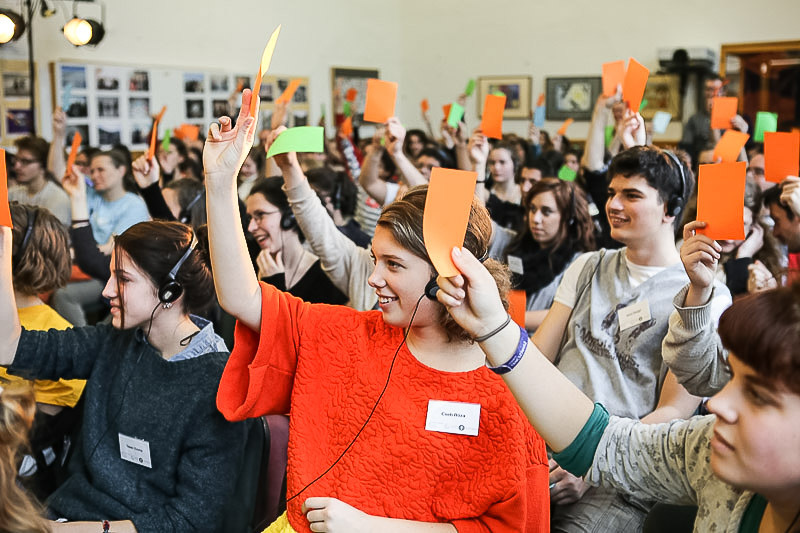 For a whole year young people from Budapest, Miskolc and Berlin dealt with the topic of democracy and participation using means from photography, art activism, theatre and performance. 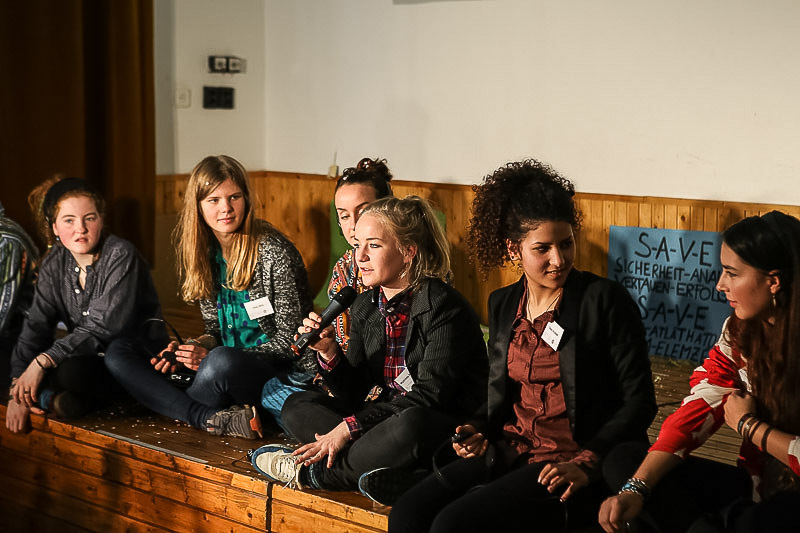 After the first exchange in September 2014 at THEATER AN DER PARKAUE all participants met again at the beginning of December 2014 in Budapest as part of the youth conference HOME, in the course of which they presented their project results to each other and developed different approaches of critical debate and discussion. Artistic leadership Interrobang Production Irina-Simona Barca Assistance of the production Hans Kluge by and with Diana Abdallah, Polly Härle, Hans Kluge, Lia Pohlmann, Mathilda Rademacher, Gina Marie Schreyl, Helena Simon, Anna Tiller. A coproduction by Interrobang and THEATER AN DER PARKAUE. 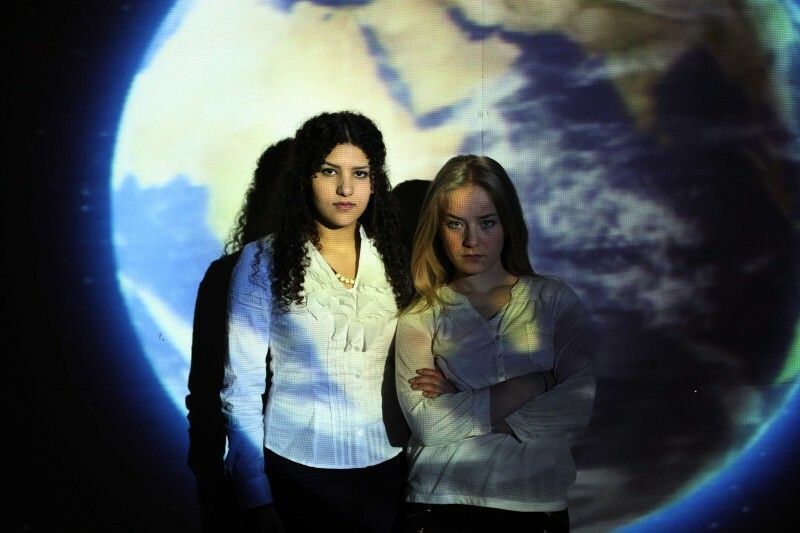 In cooperation with Goethe-Institut Budapest and the Krétakör Theater Budapest as part of the project „HOME. A project for Democratic Education“.